Slightly sweet and delicate, Japanese egg crepes are perfect platters for veggies fresh from the Farmer’s Market. Or a scrumptious container for rice. Sliced thinly, the Japanese egg crepes (kinshi tamago) are pretty and yummy garnish for bento lunch boxes. This recipe yields 5 Japanese egg crepes. Vigorously stir in the sugar and salt until all granules are dissolved. Add the cornstarch and whisk until smooth. Pour the mixture through a strainer into a clean bowl. Coat an 8” pan with oil. Heat over a low flame. Pour and swirl a little less than ¼ cup of batter into the pan. Allow the crepe to cook for about one minute or until the edges look slightly dry. Carefully, slip a spatula under the edges to loosen the crepe. Quickly turn the pan over and place the crepe onto a plate. Slice into thin strips for garnish. 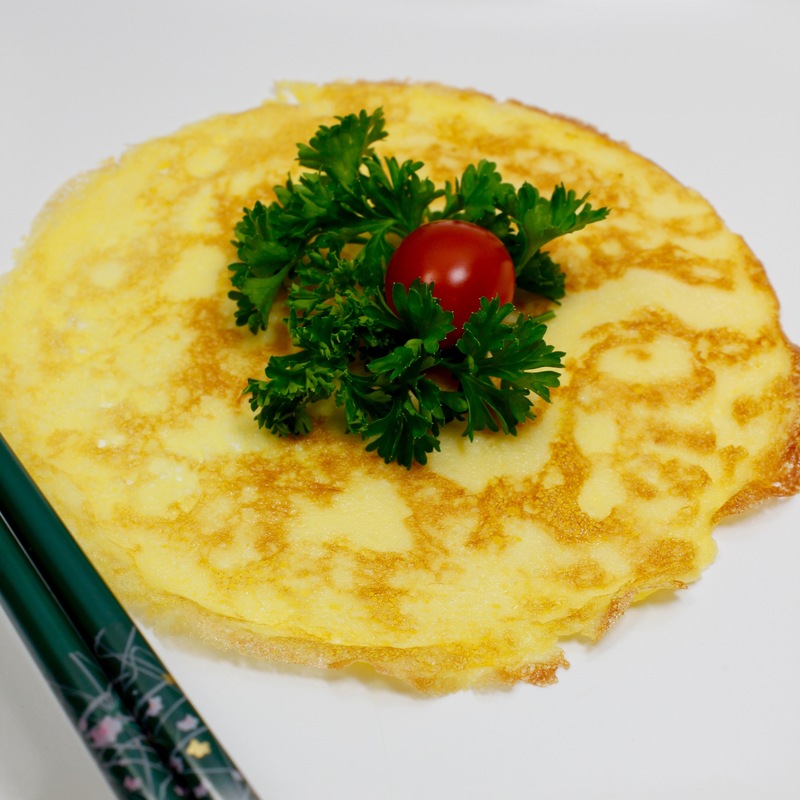 Or decorate the Japanese crepe with bacon crumbles or your favorite egg accompaniments.